Posted on March 6, 2018 by treelawyer	tagged. 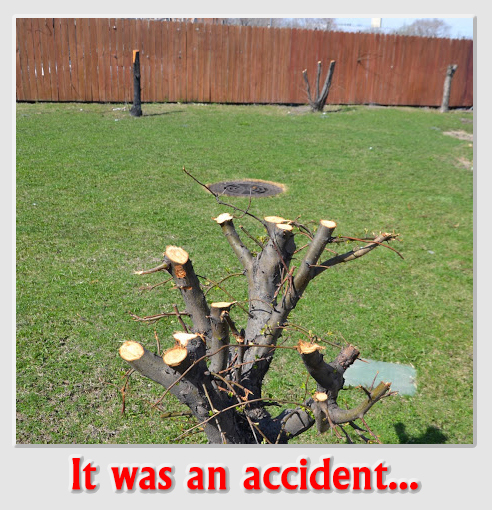 We’re not really sure what happened here, only what one neighbor said happened, and what the other denied. But that’s all right, because today’s case is not about who cut down whose trees, but instead whether an insurance company had to step into the dispute to defendant Shelly Albert when neighbor Henri Baccouche said she done him wrong. Henri said Shelly trespassed on his property, built a fence across some of his land, and severely damaged nine olive trees in the process. So his complaint was what we call trespass to trees. Shelly argued that she was obligated to trim the trees because of fire regulations, she had been trimming them for years without Henri complaining, and the trees were boundary trees anyway, so she had a right to trim them. We all know what can happen when we lose a lawsuit. But the pain in the wallet begins way before that, with the cost of attorneys, experts, filing fees and litigation expenses. That’s a good reason for insurance. Shelley had some, a homeowner’s policy bought from Mid-Century Insurance Company (so named, perhaps, because the middle of the last century was the last time the company every paid a claim). We’re just kidding, of course. Mid-Century couldn’t wait to start paying for lawyers and depositions and settlements and the like, all on Shelley’s behalf. Wait. We’re kidding about that, too. Shelley notified Mid-Century as soon as she was sued. She demanded Mid-Century mount a defense for her, but Mid-C said, “no dice.” The insurance policy covered accidental occurrences, the Company said, and Shelley, by her own admission, had deliberately hacked up the olive trees. Shelley’s insurance policy covered her from injury due to accidents. Shelley’s problem, of course, was that she said the accident was that the trees might really by Henri’s and not shared, and that she and her guys might trimmed more than they were entitled to. But they did not mean to. Fact is, however, the “accident” had to be conduct, not its unintended result. If Shelley had run over the trees with a bulldozer while she was digging a hole for a pool, that would be an accident. But “accident” is like “intent” in trespass. You don’t have to intend to walk onto some else’s land. You just have to intend to step where you step. If that land belongs to someone else – whether you knew it or not – you’ve trespassed. Shelley intended to prune the trees. It was no accident, whether she was right in her belief that she could do so or not. 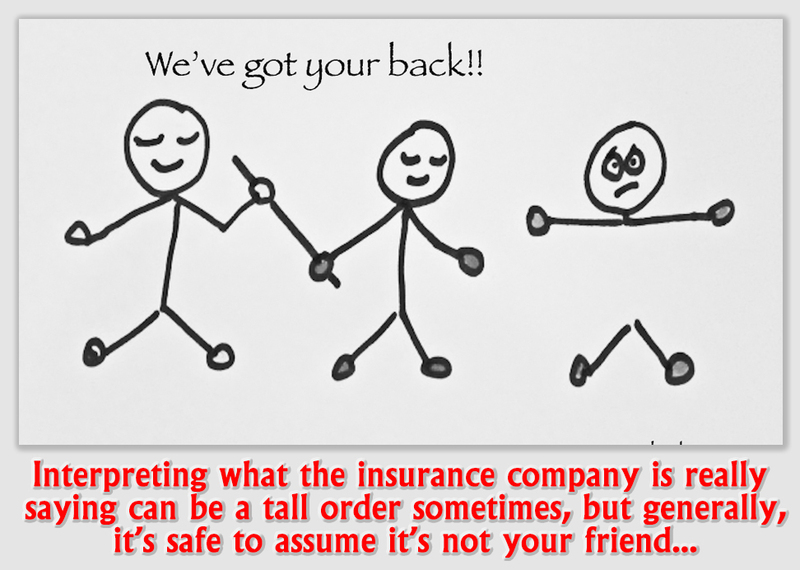 Thus, the insurance company could not possibly be liable, and it did not have to defend her. So Shelley lost big (and spent a lot on legal fees) before ever squaring off against Henri. Lesson? 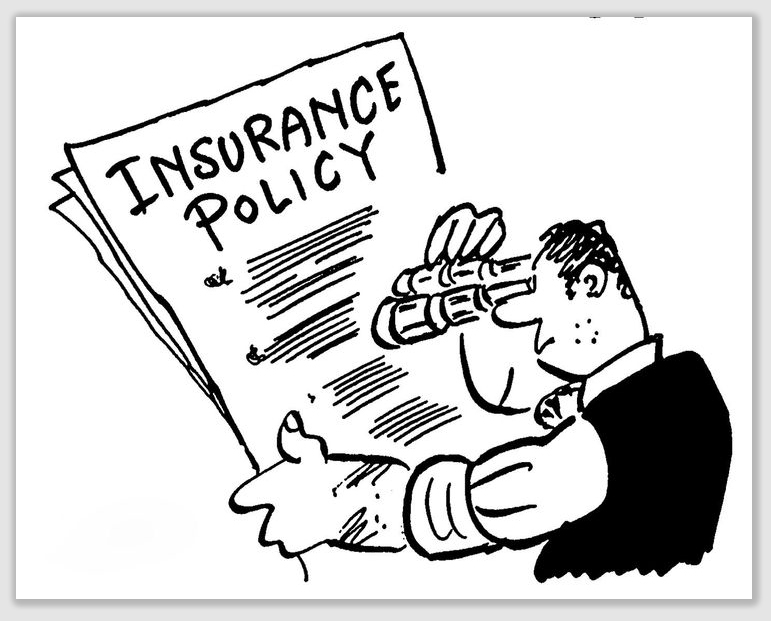 It might make good reading some evening (when nothing good is streaming on Netflix) to read your homeowner’s insurance policy. Sometimes, it can be scarier than a slasher movie. Oh, what peace of mind Shelley must have had! At least until she was sued by her neighbor, Henri Baccouche, for damage Shelley was alleged to have caused to his property when she erected an encroaching fence, and pruned nine mature olive trees on his property. Shelley called on Mid-Century to provide a defense, but the insurance carrier refused, saying it was not liable under any stretch of the policy. Mid-Century said Henri’s “do not meet the definition of occurrence resulting in bodily injury or property damage as defined by your policy,” because protection against Henri’s claim was barred by the policy’s exemption for intentional acts. Shelley sued Mid-Century, claiming breach of contract, and breach of the implied covenant of good faith and fair dealing. Defendant filed a motion for summary judgment. The trial court granted judgment to Mid-Century, holding that Shelley’s conduct in cutting Henri’s olive trees was intentionally undertaken, and there was no evidence whatsoever that the trees were injured in some accident. Held: Mid-Century had no duty to defend Shelley. 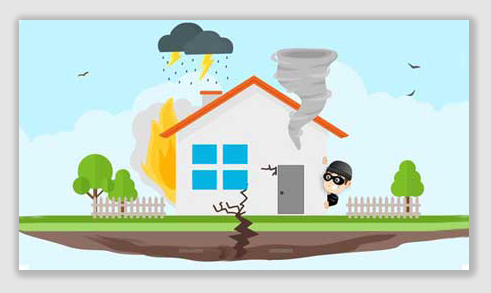 The policy was quite clear that it covered property damage resulting from an “occurrence,” and an “occurrence” was an accident. “Accident” in the coverage clause of a liability policy refers to the conduct of the insured for which liability is sought to be imposed on the insured, the Court said. An intentional act is not an “accident” within the plain meaning of the word. The Court said that an accident “is never present when the insured performs a deliberate act unless some additional, unexpected, independent, and unforeseen happening occurs that produces the damage.” For example, if a driver intentionally speeds and, as a result, negligently hits another car, the speeding would be an intentional act. However, the act directly responsible for the injury hitting the other car was not intended by the driver and was fortuitous. Accordingly, the occurrence resulting in injury would be deemed an accident. Even with the most charitable view of the underlying events, the Court said, the trimming of the trees was no accident.